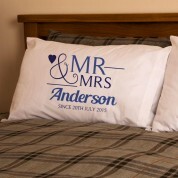 This personalised Mr and Mrs pillowcase set is a fun gift for any couple's bed or a great addition to your own bedroom! They make the perfect wedding or anniversary gift (2nd wedding anniversary is cotton). 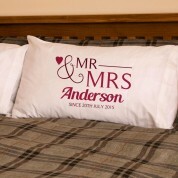 Each pillowcase has a Mr and Mrs love heart design along with the couple's surname and wedding date. The Mr pillowcase is printed in blue, the Mrs pillowcase is printed in red. 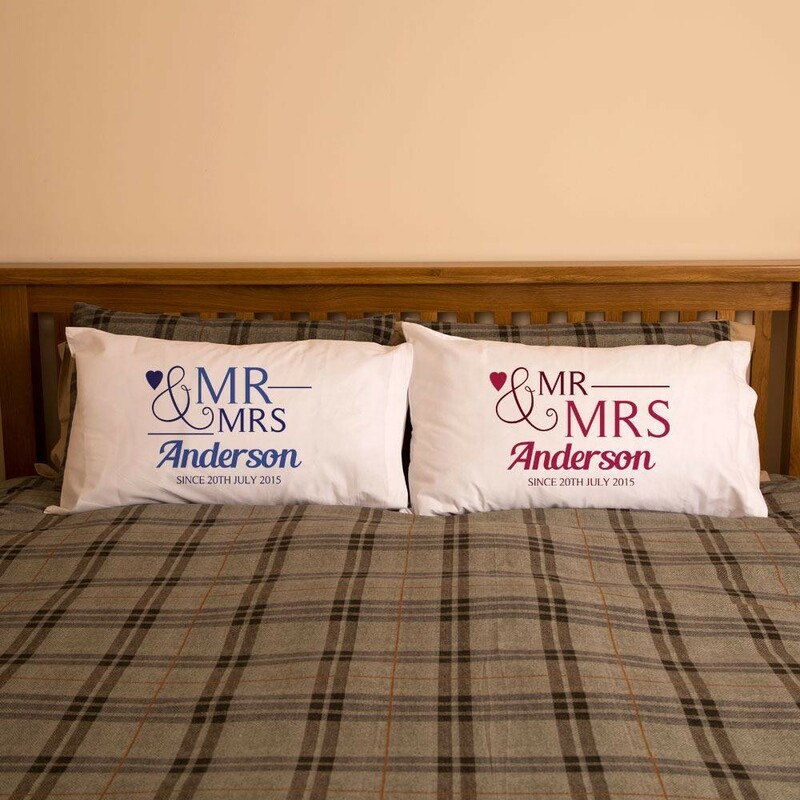 His and Hers pillowcases will mean there will be no squabbling over whose side of the bed is whose. Our printing method leaves the text soft to touch so there is no rubbery feel to the print. Washing instructions: Use a cool machine wash and turn inside out for best results.